Significantly warmer and drier than its northern neighbors in Central America, Costa Rica is a great destination for a March vacation. Also considered the dry season for much of the country, Costa Rica in is pleasantly warm (if not downright warm) in March, making it the perfect destination for a coastal Caribbean vacation even after the busy season for tourism has ended. March in Costa Rica boasts low rainfall throughout the country, but temperatures can be uncomfortably warm with much of the island experiencing highs well above 80 degrees Fahrenheit and lows in the upper 60s and lower 70s. However, these temperatures vary depending on whether you visit inland cities, cites on the Pacific coast, cities on the Caribbean coast, or cities lying in the wet rainforests of southern Costa Rica. Humidity is also a major factor affecting comfort levels for tourists; much of Costa Rica experiences humidity levels at or above 80 percent for most of the month, making the 80-degree weather feel even more oppressively hot. Additionally, cities like Limón on the Caribbean side of the island also receive heavy amounts of rainfall over the month, totaling upwards of 9 inches of precipitation in March. Fortunately, though, March is the peak of the dry season for most of the country, so you won't have to worry much about rain depending on where you go. 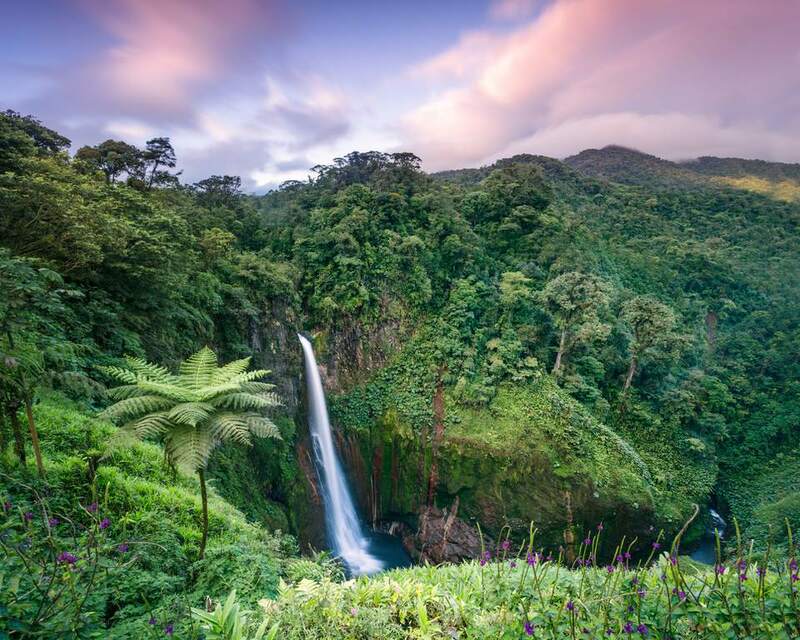 Since most of the country will be experiencing hot, humid weather with very little rainfall throughout the month, your packing list will be relatively simple for your March trip to Costa Rica. Be sure to bring lightweight, breathable shirts, shorts, and shoes as well as your swimming gear and plenty of sunscreen in case you want to take a dip in the Caribbean Sea or the Pacific Ocean during your stay. You may also want to pack a collapsible and easily-stored umbrella if you're traveling to the rainforest since sudden showers are known to occur throughout the month. Also be sure to bring comfortable shoes if you plan on doing a lot of walking and remember to pack hiking gear like boots and comfortable pants if you plan on doing any outdoor adventuring on your trip. Although there aren't many public holidays celebrated in Costa Rica this month, you'll definitely want to catch the unique St. Joseph's Day celebrations on March 19 commemorating the patron saint of the capital city of San Jose. You may even be lucky enough to experience some Easter celebrations if the holiday falls in March when you visit. Dia de San Isidro Labrador: On March 15, cities across the country honor the Patron Saint of the Peasant, Saint Isidro, with a variety of parades and markets as well as priests blessings of livestock and crops for the growing season. Oxcarts-Parade: The city of San Antonio de Escazu hosts a parade of colorful carts pulled by oxen on the second Sunday of March each year, and local priests often bless the livestock for the year during the festivities. St. Joseph’s Day: March 19 commemorates the patron saint of San Jose with religious ceremonies, parades, Costa Rican bullfights, and blessings performed by priests all over the city. The National Orchid Exhibition: Often as part of the St. Joseph celebrations, this festive floral showcase welcomes international orchid growers to display their crops, trade farming secrets, and admire hundreds of species on display in San Jose. The International Festival of Arts: Every two years, the Department of Culture & Youth of Costa Rica invites international artists and performers to San Jose for two weeks of exhibits, performances, and roundtable discussions. While most events are held in San Jose's La Sabana park, you'll likely find events and showcases popping up across the country during the last two weeks of the month for the biennial event. March marks the end of the high tourist season in Costa Rica, which means that prices are much lower on airfare and accommodations and that room and restaurant reservations are easier to book. However, if Easter is observed during March this year, prices will likely increase for the weeks leading up to the holiday, especially during Holy Week (Semana Santa), when the people of Puerto Rico celebrate with a variety of festive parades, processions, and ceremonies across the country. After the 2017 hurricanes devastated many island resorts in the Caribbean, the demand for tourism on Costa Rica's many beaches increased exponentially. As a result, although March is still considered the off-season for tourism, you may need to book your accommodations further in advance to ensure you have a spot at your top picks. Due to the dry weather, even some of the most remote places in Costa Rica are accessible by road this time of year, making it the perfect time to visit some of the country's best-kept secret destinations. Additionally, since American spring break is often observed during March, you may find sudden spikes in pricing for accommodations and airfare when traveling from the United States.